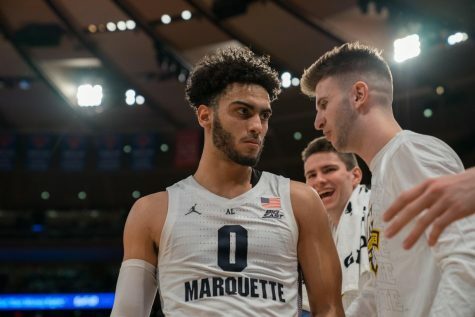 Entering Saturday’s contest at DePaul, there was plenty of reason for optimism among Marquette fans. 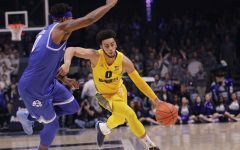 Star sophomore Markus Howard returned from a right hip contusion and the Golden Eagles faced an opponent they’ve beaten the last three times. 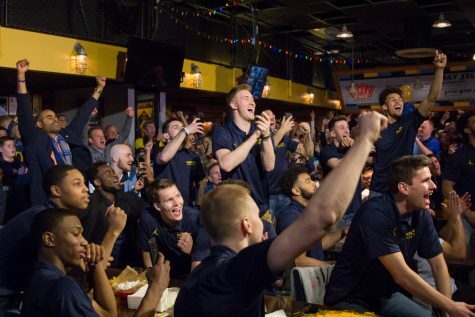 Yet optimism might be the last word associated with Marquette following a devastating 70-62 upset to DePaul Saturday at the Wintrust Arena, which essentially ends Marquette’s chances at an at-large NCAA Tournament bid. 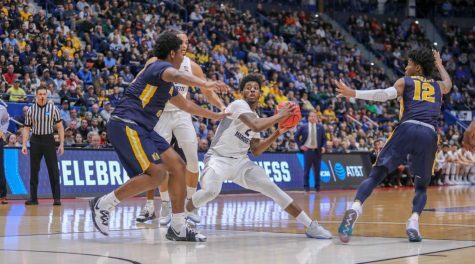 After finishing the first half with a 33-28 lead, the high-octane offense that propelled Marquette onto the NCAA bubble fell apart in the second half. 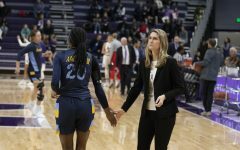 The Golden Eagles went six minutes without a field goal midway through the second half, a funk they could not recover from in the final minutes. 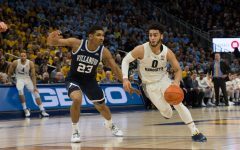 Marquette’s drought lasted from the 13:18 mark to the 7:15 mark of the second half and attempted only four shots and turned the ball over four times. 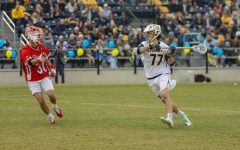 In the last two minutes of the first half and first 13 minutes of the second half, the Golden Eagles hit just two field goals. Marquette shot 30 percent from long distance and just 41 percent from the field. 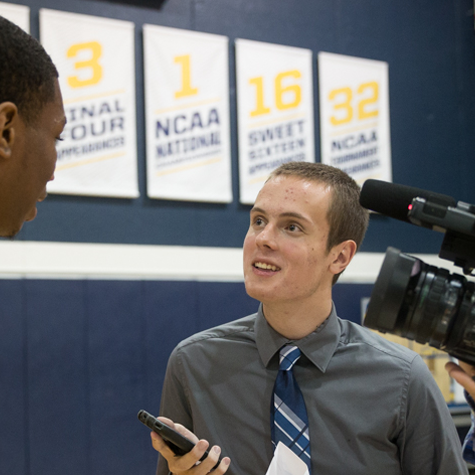 Senior Andrew Rowsey led the team with 16 points but did so on an inefficient 5-for-14 shooting clip. 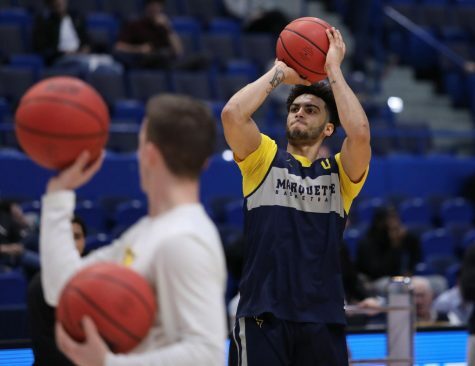 Marquette’s two sharpshooting guards, Howard and Rowsey shot just 10 for 27. 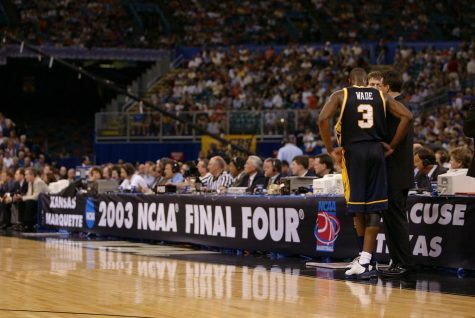 Howard scored 12 points in his return from a right hip contusion injury. 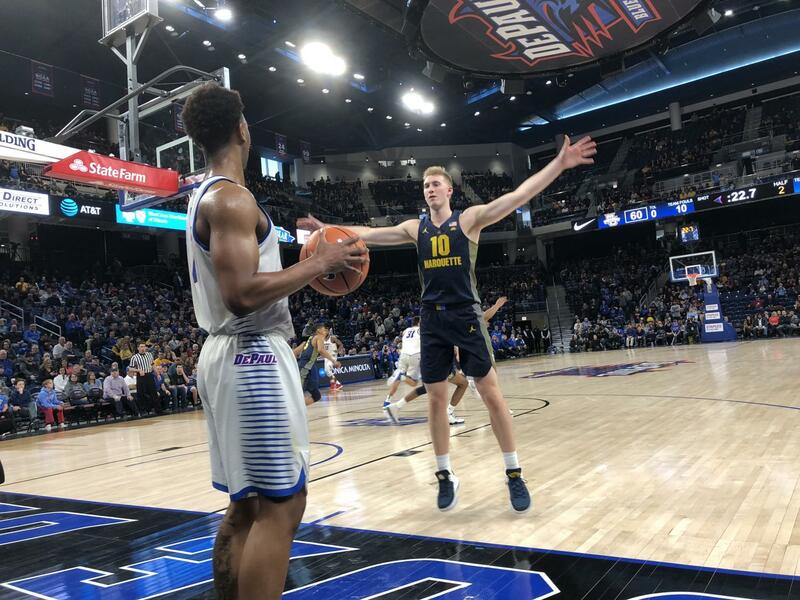 He suffered the contusion last Saturday in Marquette’s 90-86 win at Creighton. Wojo said he didn’t intend for Howard to play 31 minutes, but two early fouls Rowsey forced Marquette to play Howard. 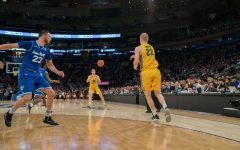 Marquette cut the deficit to five points on multiple occasions down the stretch, but DePaul’s big men kept the Blue Demons in control throughout the second half. DePaul’s Max Strus and Marin Maric combined for 24 points on 11-of-24 shooting. 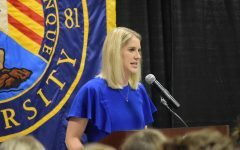 The Blue Demons only shot 37 percent from the field, but the their physicality allowed the team to grab 44 percent of their missed shots. Additonally, DePaul went 23-for-32 free throw while Marquette only attempted nine free throws, which Wojo does not see changing. 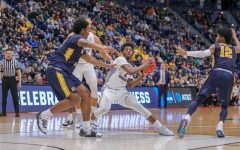 Marquette had life until the 48-second mark, when trailing by seven, Rowsey turned the ball over on an errant pass to DePaul forward Tre’Darius McCallum. Instead of possibly a 3-pointer bringing the game within four points, McCallum split the free throws to build the lead to 10 points and removed any lingering doubt. For Wojo, the game boiled down to a season-long issue: Youth. 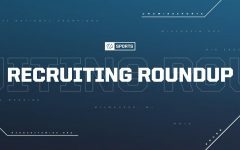 Inconsistency was particularly prevalent in the turnover column. 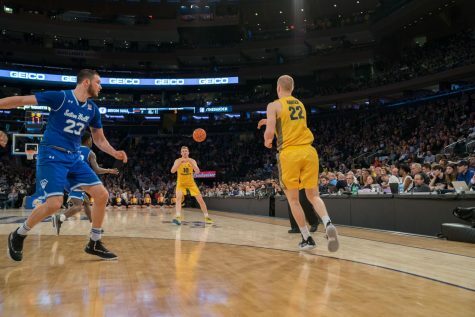 Marquette’s 15 turnovers resulted in 17 DePaul points, while the Blue Demons 17 turnovers but Marquette scored 11 points off of the opportunities. 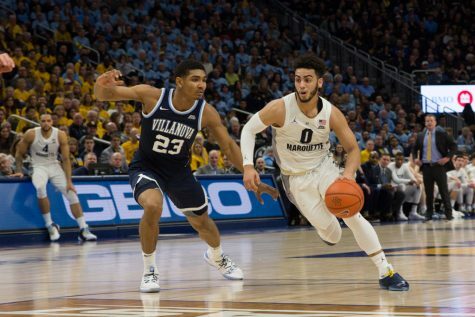 Marquette will look to salvage the second half of the two-game road trip Monday against Georgetown. 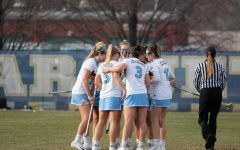 The game is a must-win after the team’s ninth conference loss. ESPN bracketologist Joe Lunardi told the Wire that a BIG EAST team could make the NCAA Tournament with a 9-9 record. 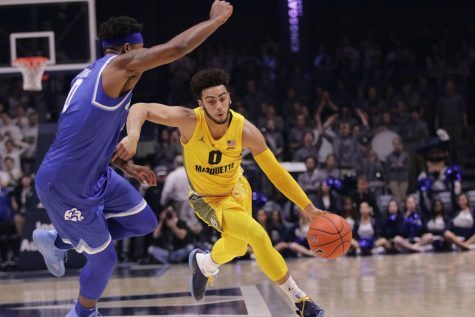 However, KenPom, a prominent college basketball site, does not give Marquette better than a 56 percent probability of winning either of its remaining games.